Popped into the Starbucks near work yesterday and found their mugs and tumblers to be half off which is awesome news for caffeine addicts. To be honest, I'm not much of a coffee drinker and probably will end up just drinking the occasional green tea out of it, but don't these tumblers look good? They also serve as a bit of a fashion accessory! My friend and I picked these up for 4.5 KD each (normally 9KD). The staff said the sale will be on until stock lasts as they'll be receiving new stock next month. 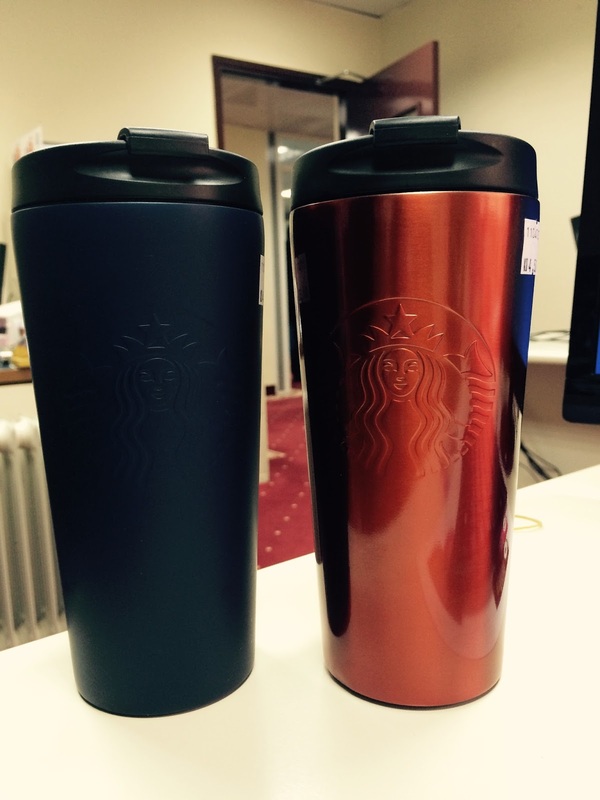 So, if you've been wanting a tumbler or a mug for a while, run to your nearest Starbucks!